Medical advancements and general awareness have helped women understand their reproduction concerns. In fact, women recurrently schedule gynaecology visits to ascertain their fertility status. However, the issue of Blocked Fallopian Tubes in childbearing women is unceasingly swindling and currently counts for 41% of infertility cases. How Do we Describe Fallopian tubes? Unfortunately, a self-examination can’t help a woman ascertain the possibility of Fallopian tubes, unless in advanced stages. Naturally, a woman is made up of two thin tubes, each running from the ovary and is connected to each side of the uterus. These are referred to as Fallopian Tubes. Each tube guides mature eggs from the ovary to the uterus and scientifically, fertilization takes place at one end of the Fallopian tube. So, What Are Damaged Fallopian Tubes? Blocked or damaged Fallopian tubes are those that cease to function as they ought to. Depending on the cause of the blockage, a single tube may cease to function or both. Women with obstructions or defects in or within the tubes are commonly diagnosed with tubal factor infertility. 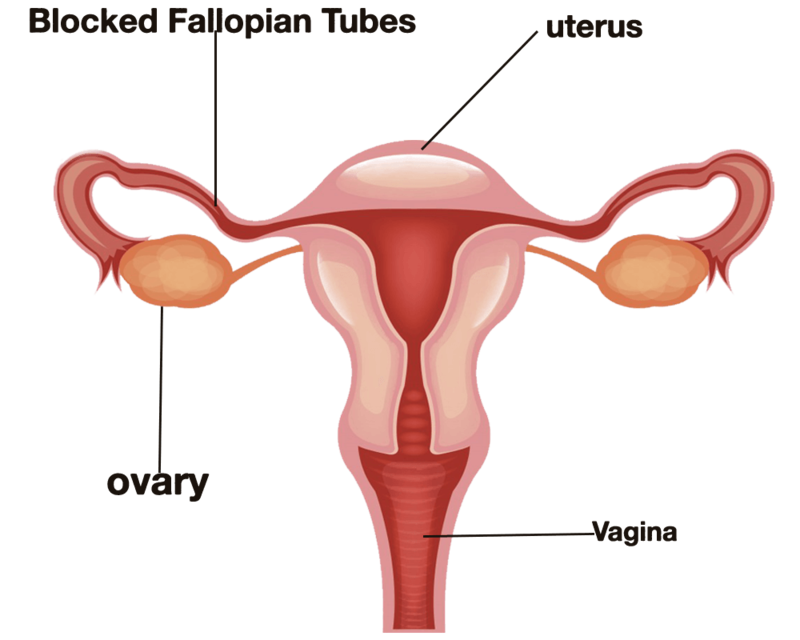 What’s the Purpose of the Fallopian Tubes during Conception? Healthy Fallopian tubes are vital for fertilization to occur which result in conception. Generally, an egg is released each month during the time of ovulation. Once the egg is released, it will travel from one ovary to the Fallopian tube where it meets the sperms. Once the egg and the sperms get into contact, fertilization will occur, after which the fertilized egg will slope down to the uterus for implantation. In case one or both the Fallopian tubes are damaged, the egg is prevented from meeting the sperm and this will surely cause infertility. A woman may suffer from partial or complete tubal damage. NOTE: These symptoms may also get triggered by a different condition. A PID is the commonest cause of tubal blockages. A PID can result from sexually transmitted diseases and a previous pelvic infection or a history of a PID itself. Sexually transmitted diseases include chlamydia and gonorrhea. 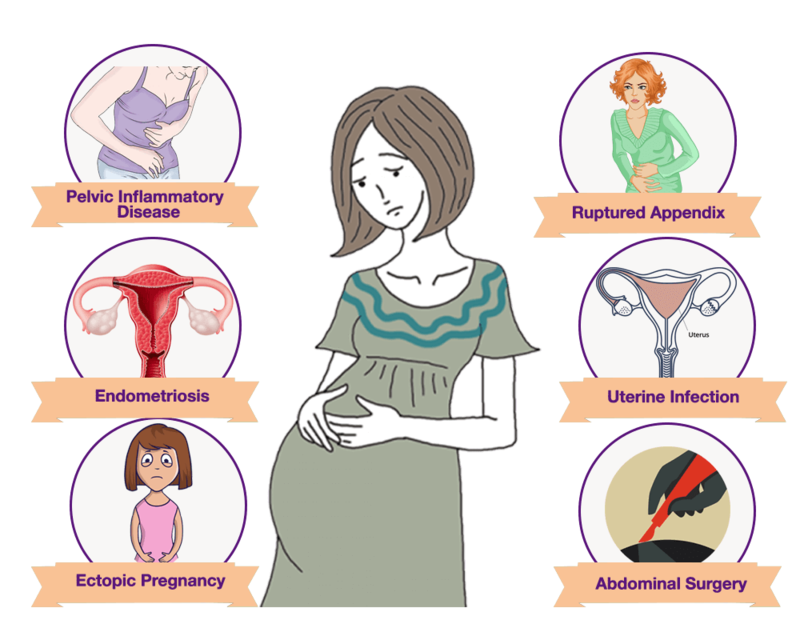 How Are Tubal Damages Diagnosed? This is a unique X-ray where a dye is placed through the cervix with the help of a tiny tube. In case the dye goes through the uterus, then through the Fallopian tubes, then to the ovaries and lastly to the pelvic cavity, this means that the Fallopian tube (s) is normal. However, in case the dye fails to come out, it means that you have blocked Fallopian tubes. 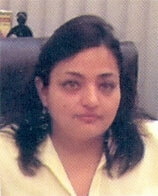 Infertility in women increases every now and then and one of its causes are blocked fallopian tubes. There are many procedures that may be done before the doctor examines your fallopian tubes. It is not all well with the woman who has been struggling to have a baby for almost five years but you know you have to try this out also. Hysterosalpingogram (HSG) is done under an X-ray. The X-ray is normally taken to see the fluids movement from your tubes after a fluid is poured into your uterus and the fallopian tubes. Another procedure called laparoscopy is performed using methylene blue where it is mixed with sterile water and poured into your uterus and fallopian tubes to find the problem. The benefit of this procedure is that it can act as a diagnosing procedure or a treatment procedure. There are cases where the above procedures are performed and no blockage is revealed so it is advisable that the patient continues on Ovary stimulation/induction treatment before moving to the major surgery. This is a major operation that may be done in different ways. One is tubal reanastomosis that involves repairing the parts of your fallopian tubes that are damaged and joining the fine ends. Laparoscopy is another way to perform this operation where equipment is invasively inserted through your abdominal lining. Salpingectomy is another procedure where the damaged fallopian tubes are removed and fimbrioplasty is done in cases where a part of the fallopian tubes is damaged. The best blocked fallopian tube treatment in Punjab and in India can be acquired from our centre that is the best IVF centre in India. The procedures are performed in combination with IVF treatment to help you carry a child of your own. In some cases, infertility may be due to only blocked fallopian tubes and after that the woman can conceive. So if you face any problem of infertility we are able to examine you carry out a number of tests before discussing other alternatives. Where the doctor finds it appropriate, this treatment may be followed by IVF treatment. The treatment at our IVF centre is administered by the best surgeon for blocked fallopian tubes treatment in India who is experienced enough in this field. The surgical procedures are performed after the administering of anesthesia so that you feel no pain. It is the hospital requirement that you a patient stays for monitoring for about 4 days. This can also depend on the type of surgery that one has undergone. Medications like antibiotics are given to avoid complications and infections in the future. Having blocked Fallopian Tubes doesn’t stop women from having children and in fact, there are various procedures through which you can attain the privilege of motherhood. Sofat infertility centre is an acclaimed destination where women with blocked Fallopian tubes are given a chance to deliver healthy babies. 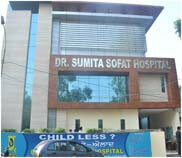 IVF, therapy, laparoscopic procedures are some of the treatment approaches conducted at our centre. We offer a lifetime opportunity for parenthood! After these surgeries, 59% of the women are able to conceive with just these procedures and also after going through IVF treatment. The chances of pregnancy also depend on the type of surgical procedure performed, the age and the cause of infertility but the chances are generally high since there is a total movement of the sperms and the eggs which increases fertilization chances. Some of the things to put in mind before and after fallopian tube surgery may be ectopic pregnancies and infections. We can fight infertility together here at our blocked fallopian tube treatment centre with the help of the best fallopian tube surgeon. You deserve the joy and happiness as a woman.